Your business will start out with some simple business technology—email. This communication form is essential to making certain you are in contact with any consumer, potential client, and previous client who may wish to get in touch. But is this all the technology you need for your business? 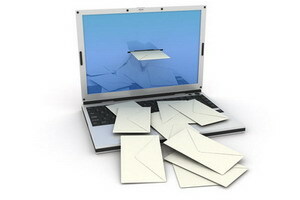 Email is certainly the most viable method a business has to personally communicate with clients. Email allows us to share marketing campaigns like newsletters, coupons, website updates, and much more. Once you establish your emailing list you can start sending out communications that have value. You can remind individuals that your company exists and even give them a little help with discounts on products. It does need to be used properly. You never want to overload your clients particularly as a small business. You are not going to have that much that changes throughout the course of your business to update in a newsletter; however, you may have just enough to say on a monthly basis in terms of offering techniques on how to use products or services. It also takes time for you to build up an email list. People have to visit your company, stop by your website, and in general care about your products more than the competition. So you cannot rely solely on email technology. There are plenty of instant messaging programs you can use in-house to communicate with employees. This means a quicker response is given by the employee and it helps you answer emails better. For example consider someone has emailed you because you are solely in charge of email responses. Yet you do not have the answer. You want to answer the email in a timely fashion. So what do you do? Are you going to hope the person with the answer will check their email as soon as you send it? Are you going to walk to their office to get the response? What if you could instant message and get what you need? Instant messaging is a lot harder to ignore because it pops up on the screen, makes little noises, and in general makes it known there is an incoming message. For certain service related businesses like online businesses or those offering things like editing services it can be very helpful to use instant messaging outside of the company walls. For example you may allow businesses to contact you through Skype. In this way you can video chat, video call, and instant message in the event there is an issue that needs a rapid response. You can only do what you are comfortable with. If you want a line between your consumers then limit the technology they can find you on. It is important to have several avenues of communication like Twitter and Facebook too. Yet, you want to keep the main amount of communications coming through email. Email is the best way and will remain so for a private conversation between you and the client on your time. Too much access to you and you might not get work done for a client who needs more TLC than others. The point is that technology can serve us well based on how we use it. Email is not just an option for communication, but as a campaign tool. How and when you use this marketing option is important. Already the frequency you market was touched on. However, marketing is more than just timing. It is about content. Any email you send to a client whether for marketing, to answer a question, or entice them to your site has to have value. Readers are not going to look beyond the subject line and read the entire email unless there is motivation and value to be found in the document. It is a sad truth and certainly a reminder of how important it is to keep readers happy.